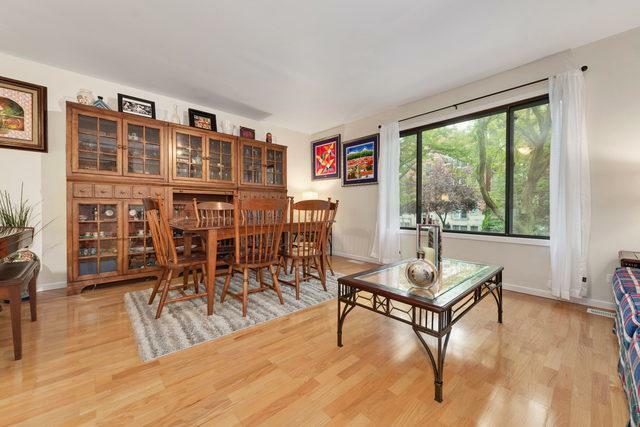 RARELY AVAILABLE, RECENTLY UPDATED 3 BEDROOM, 2.5 BATH CORNER/END-UNIT TOWNHOME WITH 1 GARAGE AND 1 OUTDOOR PARKING SPACE INCLUDED AND 24X14 PRIVATE, GATED FRONT PATIO. LIVES LIKE A SINGLE FAMILY HOME! 1ST FLOOR: WHITE KITCHEN WITH GRANITE COUNTERS, STAINLESS APPLIANCES, PANTRY, AND LARGE EATING AREA. 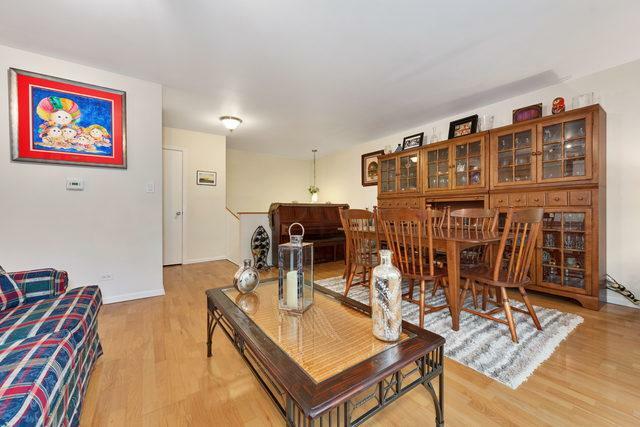 SPACIOUS LIVING/DINING ROOM OFF KITCHEN, POWDER ROOM, COAT CLOSET AND HARDWOOD FLOORS. 2ND FLOOR: LARGE, PRIVATE MASTER SUITE WITH WALK-IN CLOSET AND BATH WITH TUB/SHOWER COMBO. 2ND BEDROOM WITH SEPARATE FULL BATH AND LINEN CLOSET. 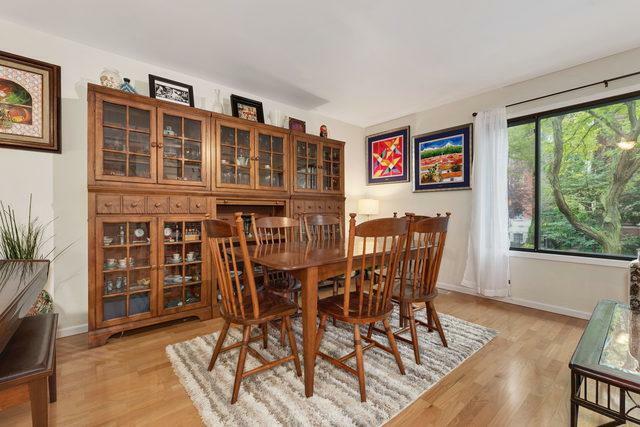 FINISHED LOWER LEVEL: HUGE FAMILY ROOM HAS WOOD-BURING FIREPLACE WITH MARBLE SURROUND, 3RD BEDROOM WITH LARGE CLOSET, CURRENTLY BEING USED AS AN OFFICE, ADDITIONAL STORAGE AND LARGE LAUNDRY ROOM WITH FULL-SIZE WASHER & DRYER AND UTILITY SINK. ADDITIONAL FEATURES: NEWER PAINT, CARPET, DISHWASHER, RANGE AND LIGHTING FIXTURES. 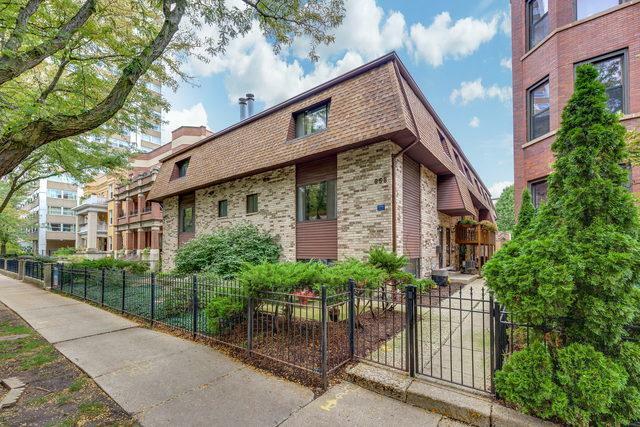 FANTASTIC LOCATION ON QUIET STREET JUST 1 BLOCK TO THE LAKE, CLOSE TO RED LINE, BUS, LAKE SHORE DRIVE, SHOPS AND RESTAURANTS. PET FRIENDLY! Sold by Concentric Realty Inc..